Rare Spares have presented the FB-EK Car Club of Victoria with a branded banner to thank them for their continued support. Club President Bill Reid accepted the banner on behalf of the club, which caters to all owners of Holden FB and EK models, whether original, restored or modified. The FB was produced in Australia from 1960-1961, then in 1961 was replaced by the newer EK model which was produced until 1962. Their new banner will be used to promote the club at events, such as their annual Australia Day picnic! If you are interested in joining the club, meetings are held on the third Tuesday of every month from 8:00pm at the Tower Hotel, 686 Burwood Rd, Hawthorn East. It is an exciting day for Rare Spares as we have now reached 8,500 Facebook likes! We’re getting closer and closer to reaching our goal of 10,000 likes by the end of the year! 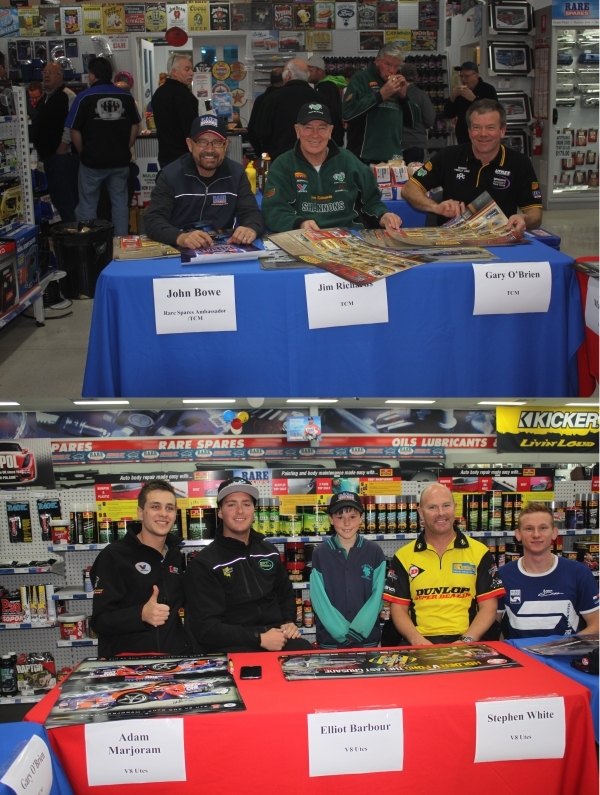 Rare Spares has been actively posting and sharing a variety of content such as images of classic cars, profiles of our store managers, product updates and footage from the Touring Car Masters & V8 Ute events that Rare Spares are proud to sponsor.. It’s not just the big motorsport events we like to share, we also like to post about car shows and events like the 2013 Aussie Classic Car Show. Also, monthly you can read updates written by John Bowe, Rare Spares’ ambassador and racing icon, on our wall. We want to hear from you, so we have begun posting ‘Repair It, Share It,’ where we ask our followers to send us images of their restoration projects to share on our wall. We also want to engage with motorsport enthusiasts out there, so we have been posting ‘A Rare Moment in Time’ where we discuss with followers, a historic moment in motorsport history. Recently, the Rare Spares Facebook page was following the story behind David Ryan’s restoration project. Known as the ‘De Ja Vu, Back to the Future or Returning to My Roots’ Blog, David Ryan provided Rare Spares followers with weekly updates on the full restoration of his race car for the La Carrera Panamericana race in Mexico which is happening later this month! Melbourne’s outer-eastern suburbs car club, Eastside Cruisers have been rewarded with a Rare Spares banner for participating in the Loyalty Club and accumulating more than 5,000 points. 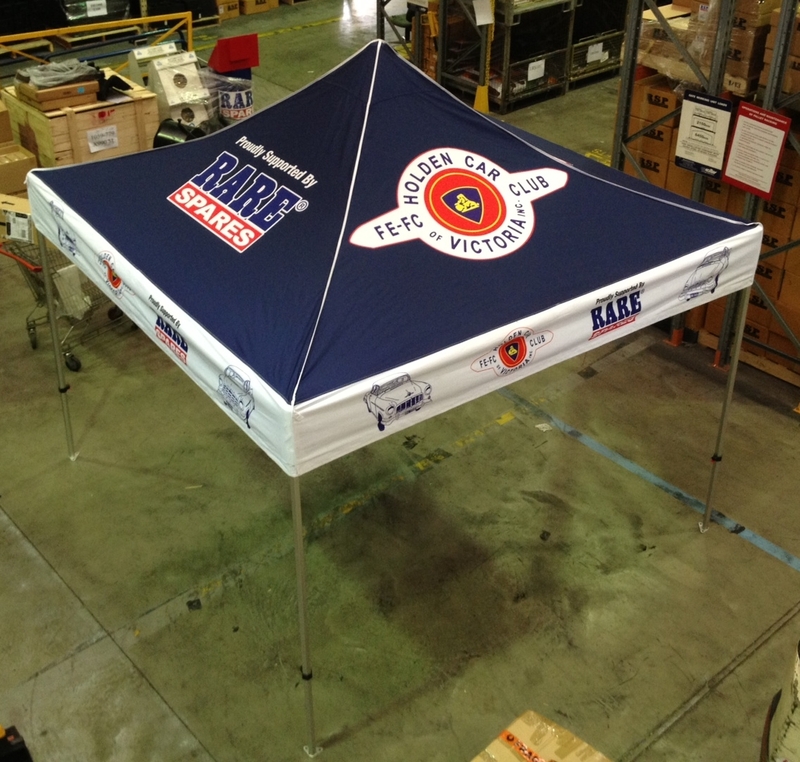 The banner, branded with their club logo and the Rare Spares logo will come in handy at club and local community events, car shows and other big events such as Springnats, Easternats and Summernats, that Eastside Cruisers participate in. Eastside Cruisers, formed in 2002, are a well-established car club celebrating all vehicle makes and models. They regularly host show ‘n’ shines, races, dyno days, motorkhana events, drive-in movie nights, cruises and more. Rare Spares Bayswater presented the banner to members of the Eastside Cruisers for their commitment to the Rare Spares loyalty program. Anyone looking to join the Eastside Cruisers can attend their monthly meetings at the Ferntree Gully Foot Ball/Cricket Club, Club Rooms on the 4th Tuesday of each month at 8pm, excluding December.